Èkó Samba Community on tour! 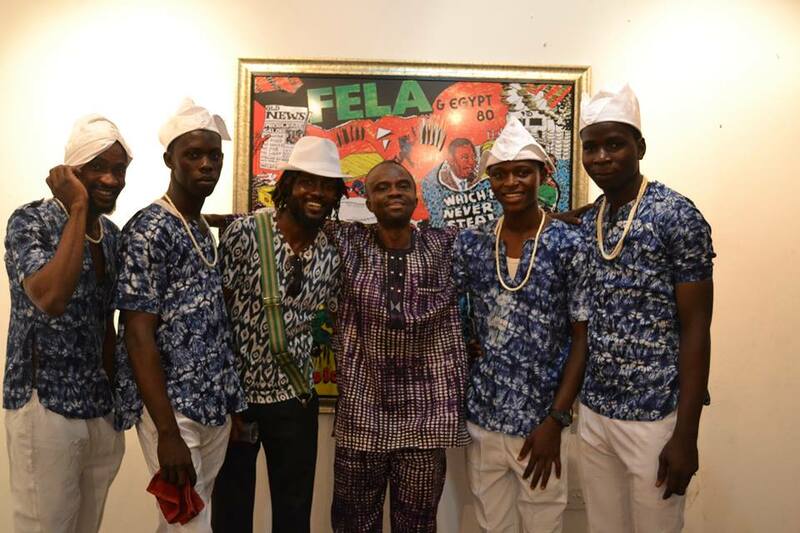 A group of our drummers recently visited Abeokuta in Ogun State for the first ever Drums Festival in Nigeria. 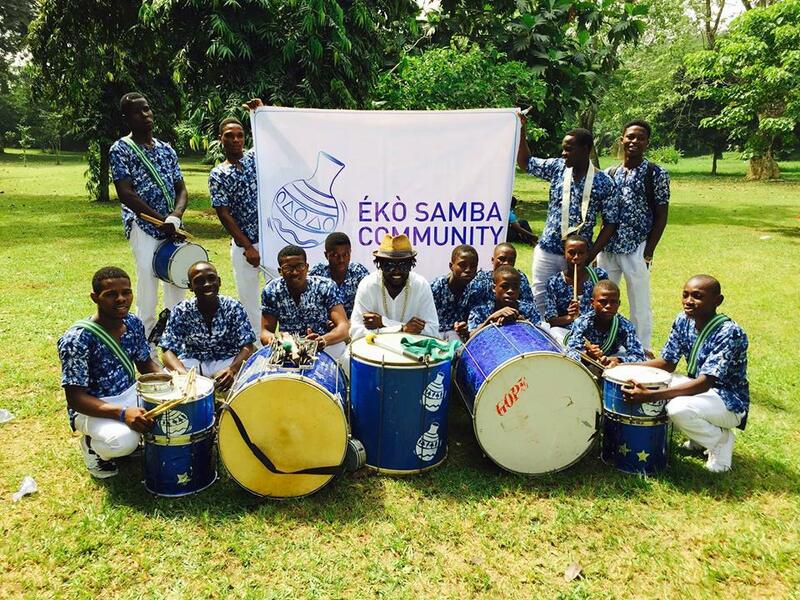 They managed to squeeze in a trip to the infamous Olumo Rock in between all the drumming… but couldn’t resist spreading the samba love even without their drums! A lovely bit of press about Èkó Samba Community in the Guardian today about our maiden visit to the Brazilian District of Lagos Island, also known as Popo Aguda. Read all about the hugely significant day and its impact on the community here. Some of our members were also featured in a photo story, here. 11th February 2016 saw Lemi Ghariokwu celebrating his 60th Birthday at Freedom Park and Èkó Samba Community was honoured to pay homage to this talented and inspirational man. Lemi is a self-taught Nigerian artist, renowned for his designs of Afrobeat legend, Fela Kuti’s album covers during the 1970s – 1990s. Lemi proudly proclaims himself to be “the conscious African” and delivered a powerful speech reminding us all that above all else, the most important thing for the progress of humanity and the world that we are in today is “man, know thyself.” Illuminating words that left an enduring impression on the young minds of the lucky ESC members who were at the event to perform for Lemi. 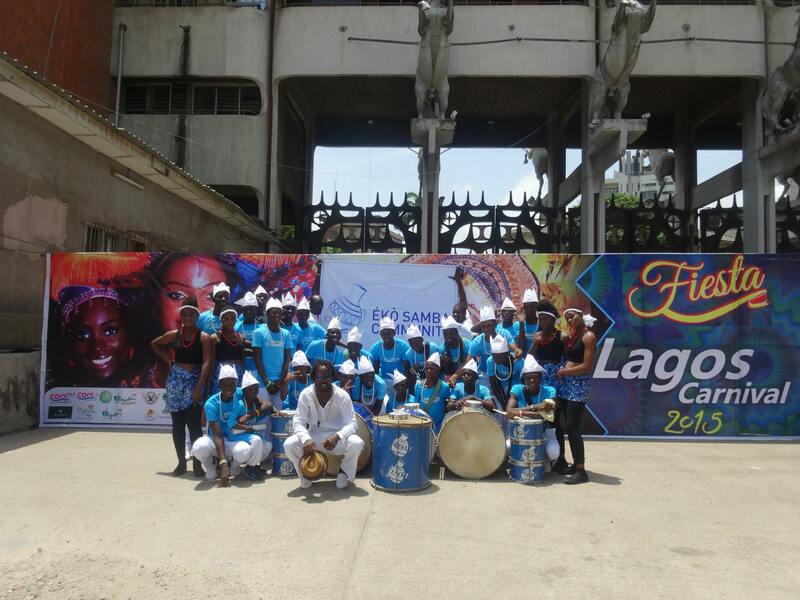 ESC perform at Lagos Carnival! Here are our amazing performers bringing true Brazilian spirit to Lagos Carnival! Bringing the Brazilian roots back to Lagos Carnival! 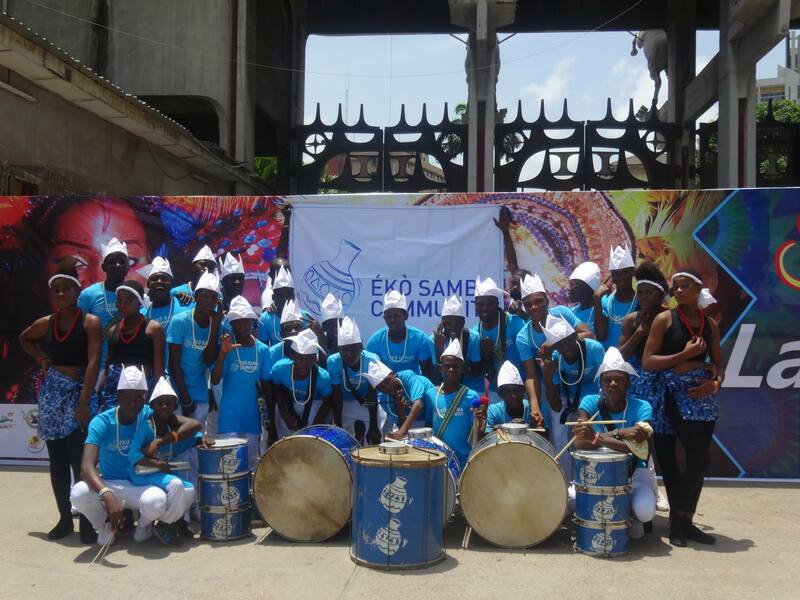 Thanks to an incredible community we had an amazing time at Lagos Carnival with 28 drummers and dancers! The kids stole the limelight of the whole event and brought true Brazilian roots back to a carnival which was otherwise lacking in live performances. Once again we were the only self sponsored group at the event, also the only group with live drumming and had less than a week to prepare but none of that mattered because on the day these kids really rocked carnival… and they look fabulous too!! Our drummers and dancers brought true Brazilian flare and spirit to the event! Local Parade Wows the Community! 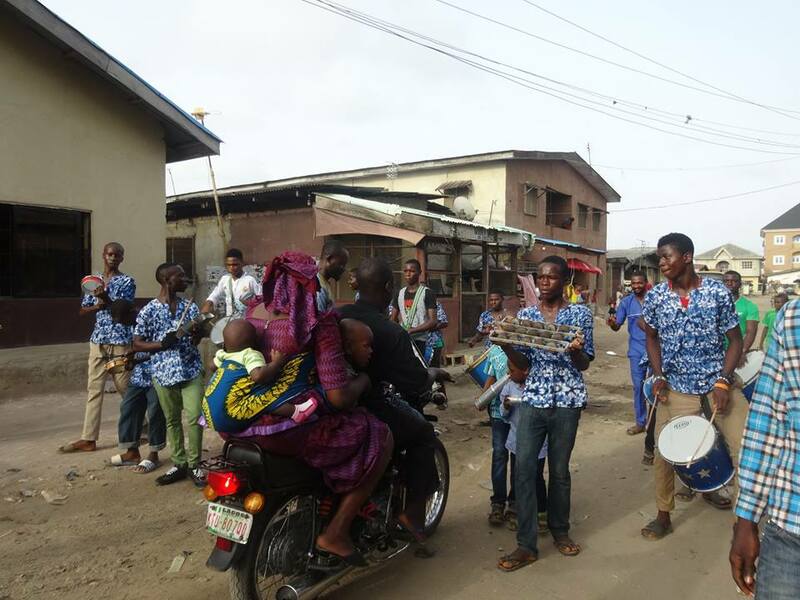 On Sunday 5th April 2015 the children and young people of ESC took advantage of it being Easter Sunday and arranged a parade throughout the local streets of Ijegun-Egba, Satellite Town. A group of 18 drummed with great enthusiasm, drawing people out from their homes, shops and churches to enjoy the spectacle. The parade was met with great appreciation of the talent and skill of the youngsters, with many new children asking to join the group. The kids proudly showed their local community what they have been developing each week – a huge success for all. Happy New Year everyone! We are still enjoying the after-glow of performing at Africa’s largest carnival. THANK YOU so much to all of you who donated funds to help get us to Calabar. We were the only self-sponsored group at the event and the only Nigerian group from outside Calabar. 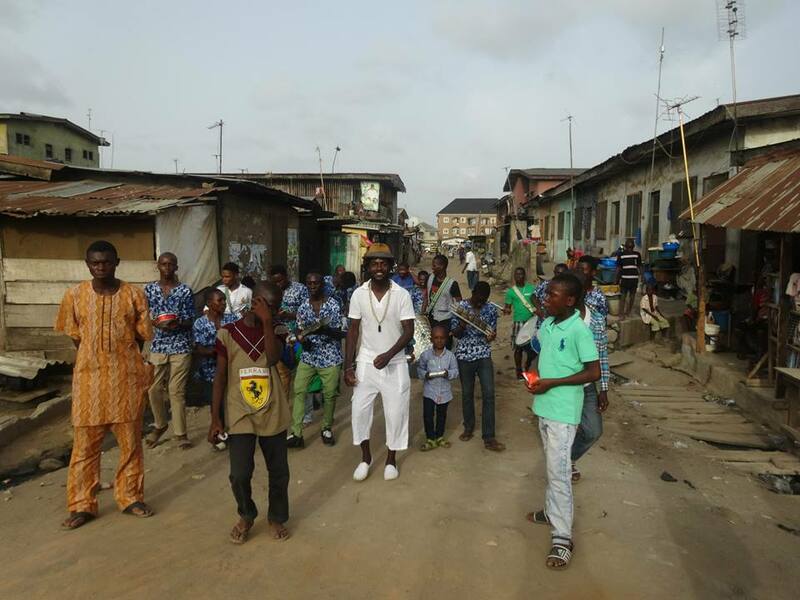 The kids had a truly life-changing experience both on and off stage… and have come back to Lagos full of self belief and buzzing with pride and fulfillment. We truly could not have achieved this dream without all of you — we are eternally grateful. Samba is gaining a strong foot-hold in Africa… watch this space! 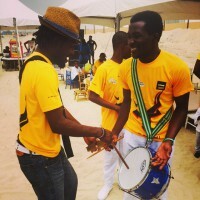 ESC outshines all other musical talent at Copa Lagos 2014! 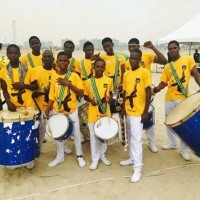 A group of talented drummers from ESC performed at Copa Lagos Beach Soccer event (http://www.copalagos.com/) this past weekend and wowed the crowds with their samba skills. They paraded on the beach for the first time and played in the arena to a lively receptive audience who really loved their performance. The weekend performances were a great learning experience ahead of Calabar Carnival which ESC is due to partake in at the end of the month. One of our younger members told us it was the best day of his life which really made us feel proud and happy to be part of such an inspiring project.